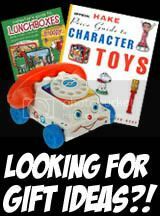 We have another vintage toy blog called The BAT-BLOG & this was a post from there done about a year ago. Included in the pictures above are 2 extremely RARE Batman Toys both made by a foreign toy company called BICHI. They make toys in Argentina! 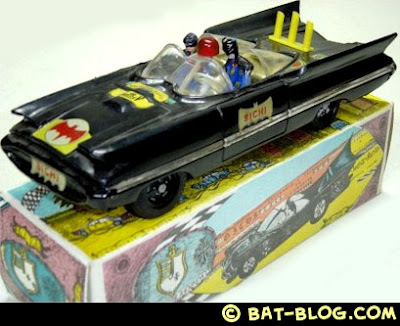 One is a very cool 1960's style Batmobile ( like the one designed by George Barris for the 1966 TV Series starring Adam West), shown with original box. The other is an extremely cool Batboat that is a battery operated bump-n-go vehicle, also with original box. 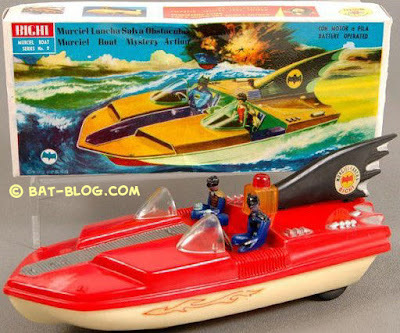 I love the graphics on the boxes but the Bat-Boat's box is my favorite, see the explosion & there's a dead person in it....awesome! Both vehicles feature Robin The Boy Wonder ( Burt Ward ) riding shotgun. Ya gotta love that! Remember to click on the small pics for larger photos. Be sure to visit the Bat-Blog today!! CLICK HERE To Visit The BAT-BLOG BATMAN FAN SITE! Hi! you have those toys in excellent condition, at least from what I've seen here in Argentina in antique stores or flea markets. Here is extremely rare to find them in mint condition and usually the batboat is missing sth (also they are very expensive here). Sorry no english translations available yet!